The forthcoming presidential election and the European elections next summer are wide open to serious disruption by dishonest internet campaigners due to lack of regulation in Ireland, a leading expert has warned. Fianna Fáil’s James Lawless said few of the “pen and paper” election rules apply to online operations which are almost totally devoid of controls, especially when it comes to politics. He also said it was high time big online operators such as Google and Facebook faced regulation comparable to traditional media. “In 2011, the presidential election campaign was thrown completely off course, with days to go, by a fake tweet. Of course something like that can happen again this time,” the Kildare North TD told the Irish Independent. The computer scientist and barrister has written his own Online Advertising and Social Media Bill but, despite support from all parties except those of the Government, the draft law is stuck at phase two of the five phases required to see it become law. 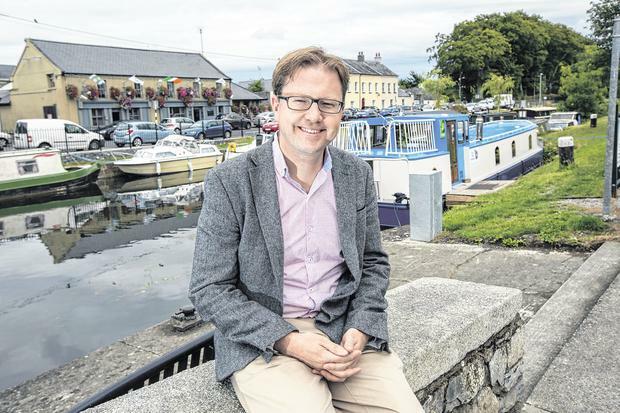 He has challenged Taoiseach Leo Varadkar to help the measure make the statute books as a goodwill gesture to Fianna Fáil, which could help boost the confidence and supply arrangement keeping the minority Coalition in power. “If the Taoiseach is serious about this Government arrangement continuing, then he could show more co-operation and give us a few wins,” Mr Lawless said. The Fianna Fáil TD repeated his declaration that online campaigning was now “the Wild West of politics”. He said there was an urgent need to control the use of market research, put forward as a purely commercial or social operation, suddenly being used to play on voters’ fears. Mr Lawless said this happened in Kenya, where research was billed as examining things such as education and clean water supply and later used to stoke voter fears about banning non-governmental organisations. He said next year’s European Parliament elections were open to manipulation by those backing extremist candidates or those who simply wanted to disrupt the EU. He also warned that online control in politics was currently spread across the justice, communications and local government departments, without even one junior minister being given responsibility. “Where responsibility is divided like this, it is often dodged. It is time to consider appointing a Minister for Technology, since it pervades every corner of our lives,” Mr Lawless said. He also said Fianna Fáil leader Micheál Martin’s backing for the abortion referendum had moved the party into line with the majority of Irish people’s views on social issues. He compared the party leader’s stance to that of British Labour leader Tony Blair’s move to drop the party’s Clause Four, which linked Labour to nationalised industries and the unions. “The abortion issue was in many ways Micheál Martin’s ‘Clause 4 moment’,” Mr Lawless said. He added it had been “a very difficult time” for the parliamentary party, and “political scars” remained from the majority of TDs and senators backing a No vote in spite of the leader’s stance. But he said the continuance of the “free vote” on forthcoming legislation, and the acceptance by ‘No side’ TDs and senators of the referendum result, meant the divisions would be healed relatively quickly. “We are all democrats and accept the will of the people. Pretty well everyone in Fianna Fáil is ready to move on from this,” he said. “I think the people are ahead of the politicians, and this applies to social issues as much as to anything else. The Kildare North TD first stood unsuccessfully for the local council in 2009 and later canvassed in their ill-starred 2011 election campaign when they “were run from the doors”. He says the experience toughened him to the realities of politics and he insists Fianna Fáil’s current opinion poll standing, trailing Fine Gael, will again be overcome. “Fianna Fáil has reinvented itself many times, notably in the 1950s under Seán Lemass, when they stressed an open economy, investment in education and closeness to Europe. Those messages are still valid today in an era of Brexit,” he said.